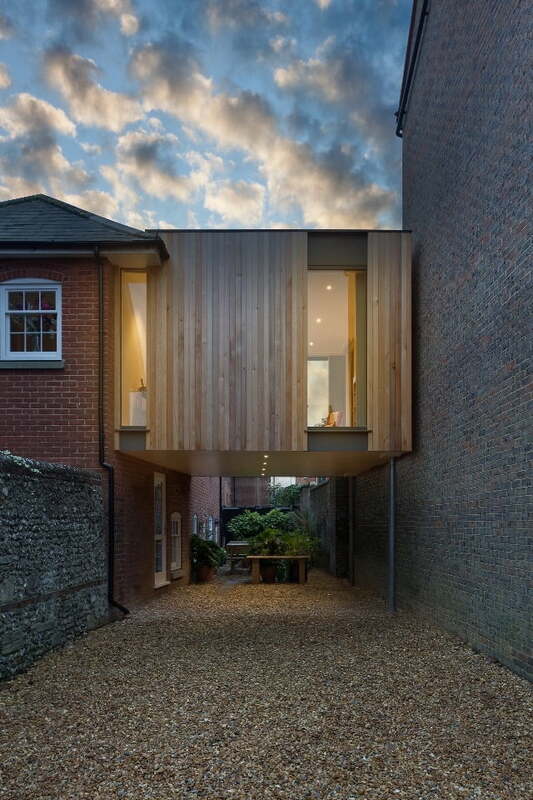 This award-winning unique wooden house is a masterpiece of Adam Knibb Architects. 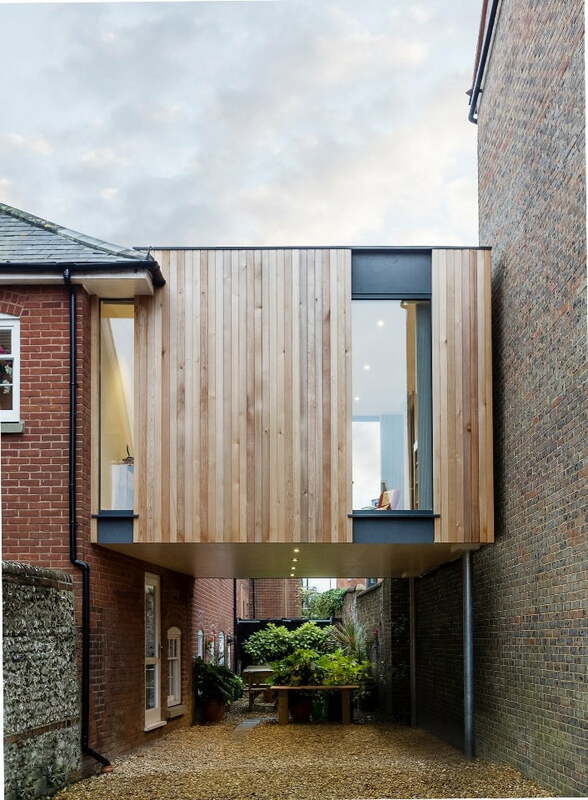 This is called award-winning because it is a winner of “The Daily Telegraph Homebuilding & Renovating Awards” and got shortlisted in “RIBA Regional Award.” This only proves to the public that it can compete with other architectural works. The newly converted dwelling place (see pictures below) in St. Old Swithun‘s school site is called Austen House. The clients really love the location, but they would love it more if there is a room facing south. 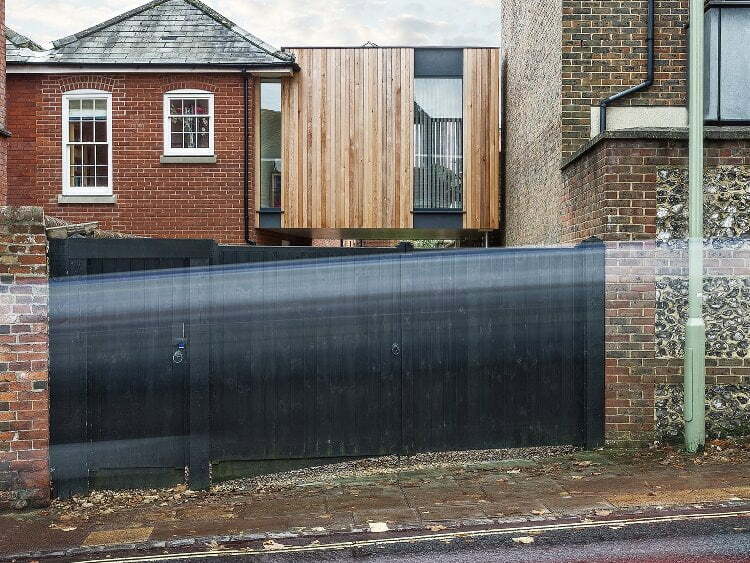 With that idea, they came to Adam Knibb Architects and a bit uncertain if this can be possible. Without any hesitation, the company made the customer’s preferences into reality and came up with this clever and creative solution. Beside the house, there’s a parking space wherein cars are very occasional. It made this project push through with the plan of building the extension just right above this space. Since this is just within the city center conservation area, it must devote itself from the main building with its materiality as well as the design. 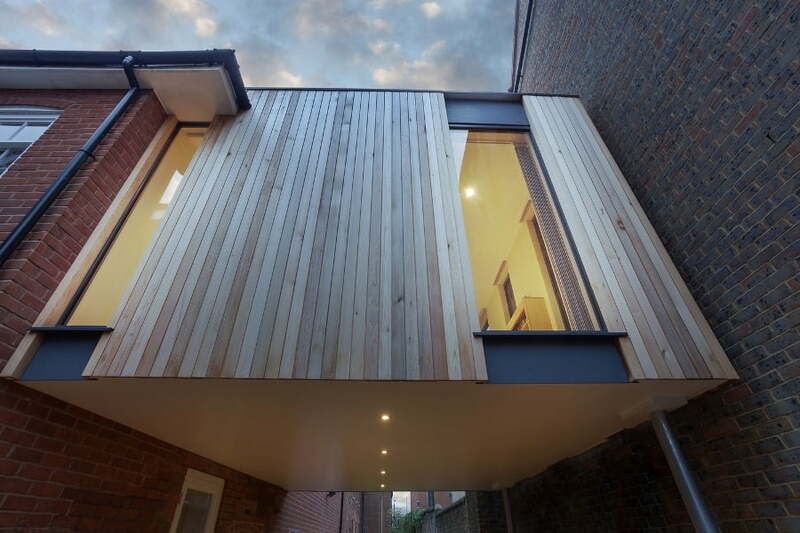 This timber extension only touches the building lightly. It cantilevers out over the entrance wherein it gives both a dramatic inside space but also a conspicuous characteristic down the North Walls road. It is also designed with vertical timber cladding and vast segments of glass to show a sentiment of verticality and sense of place. Its color is contrasting with the main building, but they somehow complemented each other. 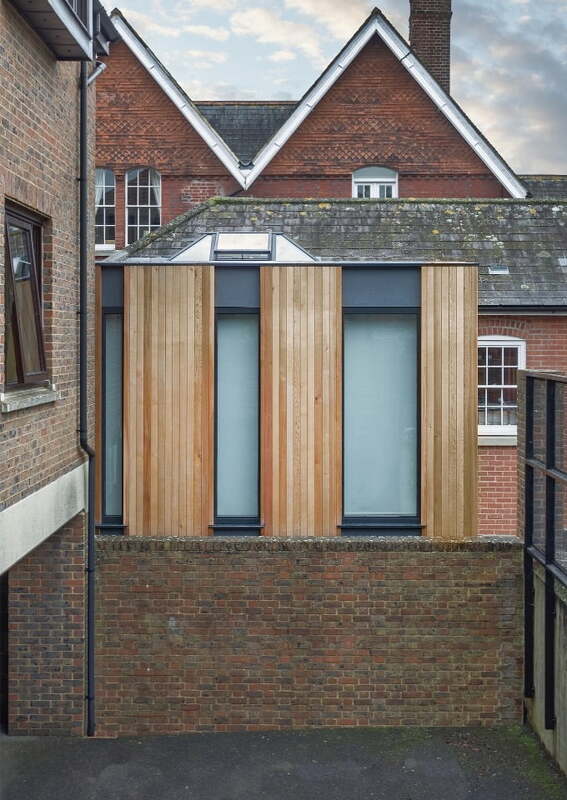 With everything considered, it looks simple in design, but this hovering wooden extension looks as if it has always been part of the main building. Lastly, the site is of a tight nature, which makes zero noise that can cause a disturbance. The company always makes sure that while this project is in progress, the principle of construction has always been taken into consideration. Rest assured that there will be minimal disruption and interference to the neighboring houses. The lightings look refreshing from the outside. The extension looks like it has been there for a long time.